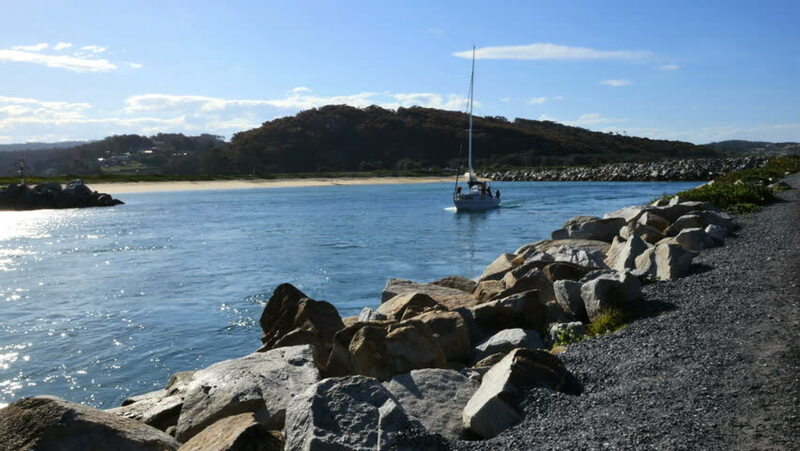 A sailboat enters the ship channel at Narooma. hd00:17Landscape of Golden Gate Bridge from Presidio Yacht port, north shore, Horseshoe Bay, Sausalito, California, United States. Symbol, icon and landmark of San Francisco. Travel and holidays concept. hd00:26LEFKADA, GREECE, JULY 13, 2014, Old dock. Ancient remains of a harbor near a Moorish fortress.